This App Tracks Crime, Emergencies Near You. But What About Privacy? You wake to the sound of sirens. Red and blue lights flash through your window shades. You fumble in the dark for your mobile phone; the screen shows it’s just after 3 a.m. After a few minutes of lying in bed, panic starts to set in. Should I get up and leave or stay put? Do I start the car or run to the neighbor’s house? In that moment you have no idea what to do. It's this type of scenario the smartphone app Citizen is trying to address with its new crime tracker. The app debuted in San Francisco in September. Think of it as police scanner, neighborhood watch, Yelp and Twitter all rolled into one. When you launch the app it brings up a city map. Your location is marked with a blue dot. Any emergency incidents unfolding across the city are represented as red dots. 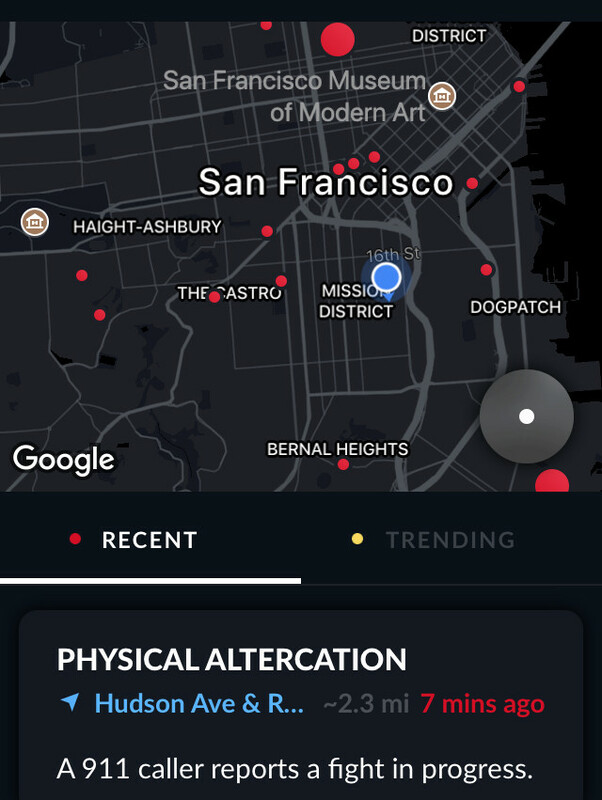 Tapping on a red dot brings up a timeline with updates like “Officers are on scene” or “Suspect wearing orange hoodie.” You can also set the app to alert you when an incident occurs within a quarter-mile of your location. Citizen says it has amassed roughly 250,000 users in San Francisco and New York, the other city where it provides service. The company hires trained technicians to monitor emergency dispatch calls -- the kind of call you'd hear from a police scanner -- and translate them into plain English for users. “Instead of getting some police jargon and radio codes that probably don’t make sense to you, we’re giving you the information the way that you understand it the best,” Artz says. Each call, or incident, is then tagged with a location for mapping. Artz says the idea is to give people the public safety information that’s out there because, for the most part, it's inaccessible. "Something that would affect the route you took to work or where you sent your kids at night [that] wasn’t public knowledge to you," she says. Artz gives an example of an alert that Citizen sent to over 6,000 users in New York on Halloween, cautioning them to stay out of Lower Manhattan, where a man driving a pickup truck sped into a crowd of people, killing eight. 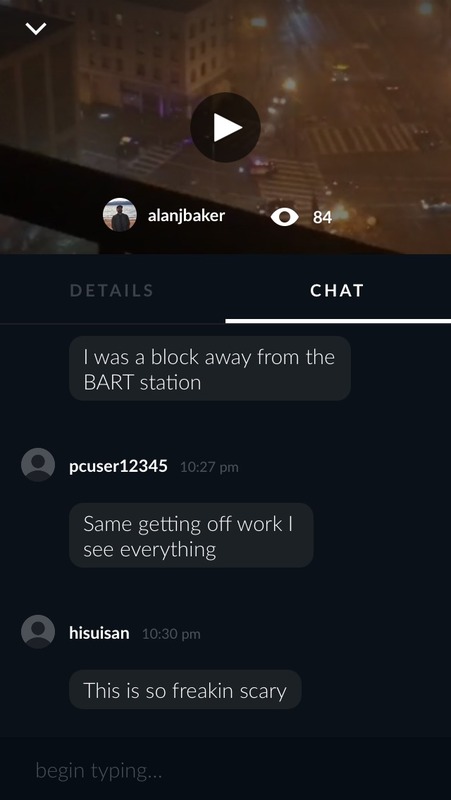 Another feature of the app allows users to livestream their own photos, videos and comments from the scene. The content might include videos of emergency crews arriving or locals texting about what they can see from their window. The company's Twitter feed features some of the more urgent content generated from the app. According to Artz, the company envisions that content created by users will help inform local newsrooms and law enforcement, in addition to the public. “The ultimate goal is to increase transparency,” Artz says. But some tech bloggers have raised concerns about the potential Citizen has to spread misinformation or violate the privacy of crime victims. Some critics also worry the app could encourage users to flock to the scene of an emergency instead of running for safety in the other direction. 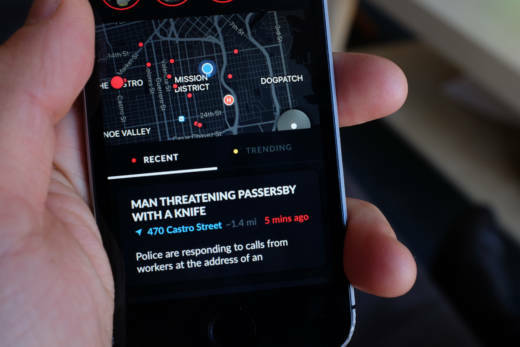 Some of the backlash stems from the app’s original name: Vigilante. The prototype debuted in New York in late 2016 but was pulled from app stores within weeks over safety concerns. It relaunched last year as Citizen. A company statement said the app had refocused its mission on public safety. But some of the messaging portraying Citizen as a crimefighting app has persisted. A recent web ad depicts a fictional scene in which app users help police track a suspected kidnapper through the streets of San Francisco. SFPD spokesman Officer Robert Rueca says a big concern is that the raw information the company is drawing from is fluid. He says information coming through police scanners is by nature incomplete and subject to change. “There’s a lot of times that calls are put out there, and it may appear to be one thing, but it ends up being something completely different,” Rueca says. 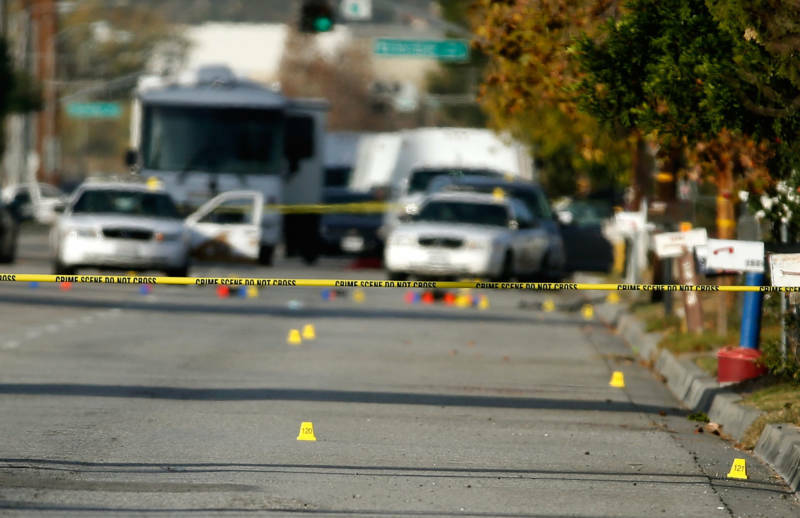 According to Rueca, information about the location of an incident or the relative threat to public safety can change rapidly once police arrive on scene. A lot of the follow-up communication occurs on private channels like cellphones or in person. Rueca cautions people against relying on a third-party app for decision-making about their personal safety. Instead, he advises they use official channels from police and fire departments, which have made efforts to push more safety alerts to the public via Twitter and Facebook. James Wheaton teaches journalism law at UC Berkeley and says there’s nothing legally stopping Citizen from sharing emergency communications that go out over public airwaves. The same goes for enabling users to post content from a crime scene. But according to Wheaton, a host of legal issues could arise if users take the app as a license to interfere with crime scenes. “That would illustrate the worst possible outcome here, which is you take a bunch of untrained people and have them start acting as not just the eyes and ears, but suddenly the arm itself of the police,” he says. What's unclear, he says, is whether a video from the app could be used as probable cause for police in pursuing a suspect or making an arrest. There are also some questions about the use of app content as evidence in court and how the source of that content would be vetted. While Citizen has no official relationship with police departments, Artz says the company welcomes their input. The Citizen app is free for users in San Francisco and New York, and the company has plans to expand to other major cities in 2018.